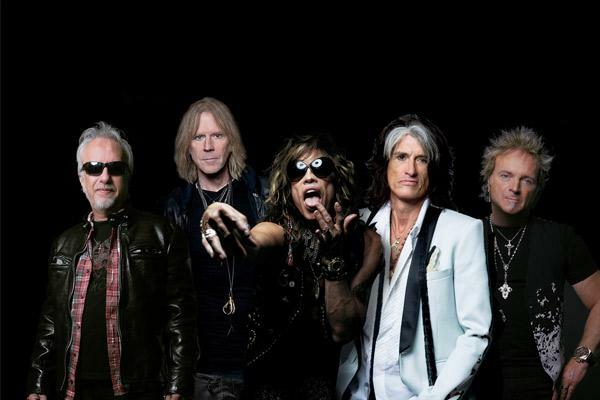 Download Festival organisers are proud to announce that the legendary Aerosmith will be closing the festival in 2014, when they headline on Sunday 15th June. Joining them on the main stage as main support will be hard rockers, Alter Bridge. Aerosmith are one rock’s most infamous and revered bands. Fronted by the iconic partnership of frontman Steven Tyler and guitarist Joe Perry, their generation spanning career has seen them sell in excess of 150 million records, making them the best selling American rock band in history. Despite having been a band for over 40 years, their incredible, ever expanding collection of hits continues to appeal to hoards of fans both old and new. Joining Aerosmith in ending what is already set to be an incredible weekend, will be the heavy riffing, arena conquering Alter Bridge. The band released their 4th studio album, ‘Fortress’ earlier this year to huge critical acclaim. It’s been the band’s highest charting album in the UK, hitting the #1 spot on the rock charts and saw them sell out arenas across the country on their recent UK tour. Aerosmith and Alter Bridge join the previously announced Avenged Sevenfold with special guest Rob Zombie, who play on Friday 13th June and Linkin Park with special guests Fall Out Boy who play Saturday 14th June. About Download: Produced by Live Nation, the world’s leading live entertainment company, Download Festival has grown to be the second biggest festival in Europe. Over it’s 12 years, Download has garnered the reputation of providing fans with the very best the world of rock has to offer. The Download community has become one of the most loyal fan bases in the world, establishing the festival as a destination not only for great music, but to build lifelong friendships with likeminded people.